So you have misplaced your only set of keys, and are panicking thinking about all the things that could go wrong. Especially, fear of the keys falling into wrong hands is robbing off your contentment. Guess what? We totally understand how you feel, and it is quite a natural response. There are a number of ways to address this situation, but most of our clients have expressed their opinion to get the locks replaced. While it may seem like a decent option, it is quite one of a grandeur. Why not go for something more economical like rekeying your locks? Yes, you heard it right. Exclusive Locksmith Service is the top-rated firm for performing quick and efficient rekeying locks services in Akron, OH area. When do you need to get your locks rekeyed? Have you just moved into an apartment? While it’s all new and cozy, you have this fear of former tenant having access to your current property lingering in your heart. If that is the case, then fret not anymore! 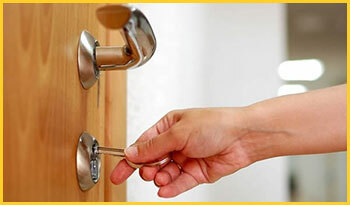 Just give Exclusive Locksmith Service a call and we will arrive, assess your locks, and get them quickly rekeyed. We also have a wide-range of rekeying options such that it can accommodate master key systems. 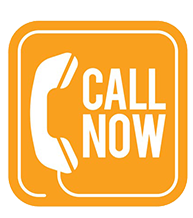 You can choose what you like from our suggestions, but remember, our assistance is just a call away! An average locksmith has got one objective in his mind, to earn the utmost. Hence when you call them over when your locks turn cranky or you miss the set of keys, all they ask you to do is to get the locks replaced. But that isn’t a wise option at all when there is an economical way to upgrade your security system. If your locks are in a good condition, then there would be no need to replace them, rather just rekeying the locks would serve your purposes better! Exclusive Locksmith Service upholds strong work ethics and puts the needs of its clients forward and its personal motives behind. We do not tend to use trickery of getting the clients to replace the locks swiftly, rather we suggest the most economical options to our clients. This is why you need to call the experts of Exclusive Locksmith Service to get your locks rekeyed. If you need a rekeying locks procedure done, and are in Akron, OH area, then call Exclusive Locksmith Service now at 330-248-5334 to avail our services!